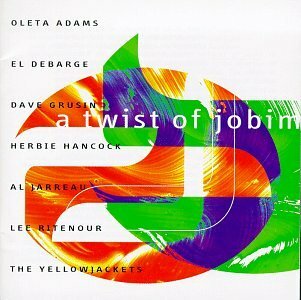 Twist of Jobim was released Mar 11, 1997 on the Polygram label and contains a single disc with 11 songs. The CD has an unusual multi-artist tribute to the music of Antonio Carlos Jobim. Some of the Twist of Jobim songs are made funky (but in a melodic and tasteful way), while others become quiet (but still passionate) ballads. Twist of Jobim are all jazz-oriented songs.